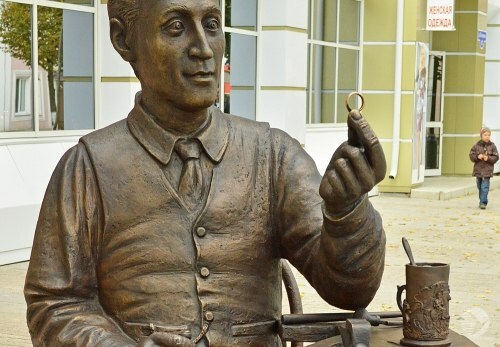 The idea to establish a jeweler monument belongs to a resident of Penza Maxim Lomonosov. 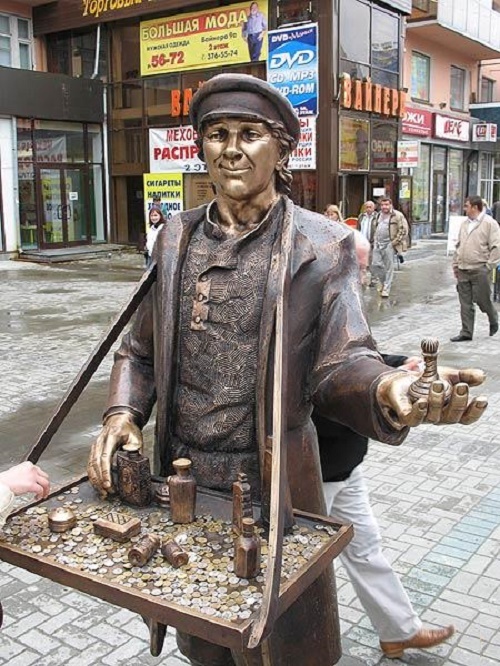 He wanted to dedicate it to his grandfather Vladimir Lomonosov, former well-known jeweler in Penza. 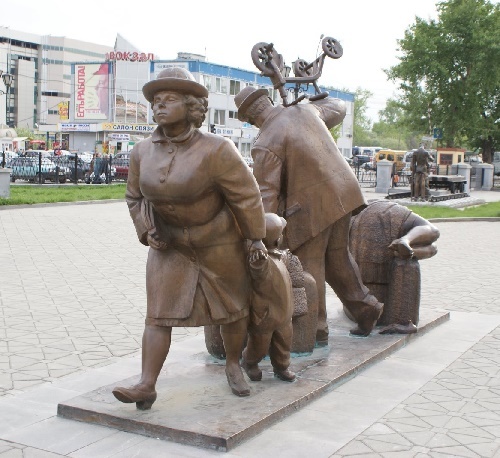 And a local sculptor Herman Feoktistov liked this idea, and first cast it in the form of bronze miniature. The sketch was approved. So, with an initiative of a street beautification acted management of architecture and urban planning. 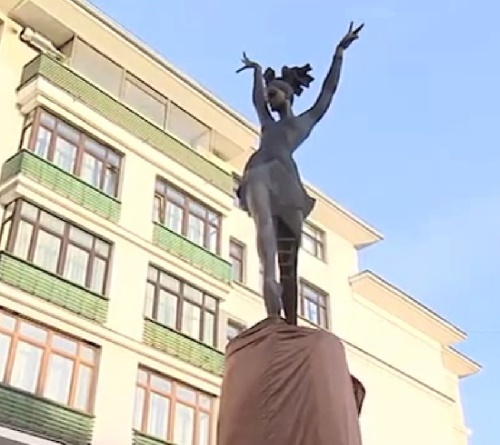 Besides, the administration of the city of Penza supported it. 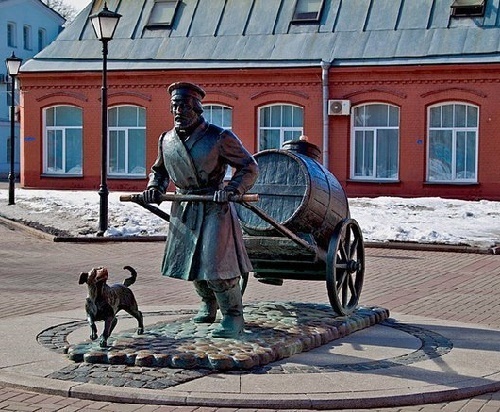 As a result, the monument cast life-size in bronze (cast in Smolensk), and on the expense of the funds donated by Maxim Lomonosov appeared. 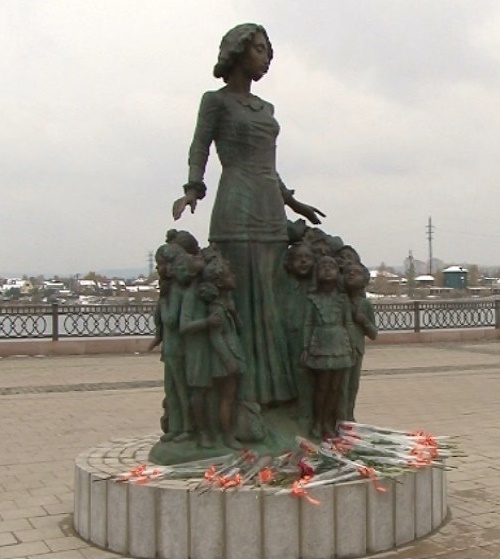 On the monument also worked another sculptor from Penza, Valery Kuznetsov.